Korwa route at Ganden Monastery, Tibet. Photo by Matt Lindén. 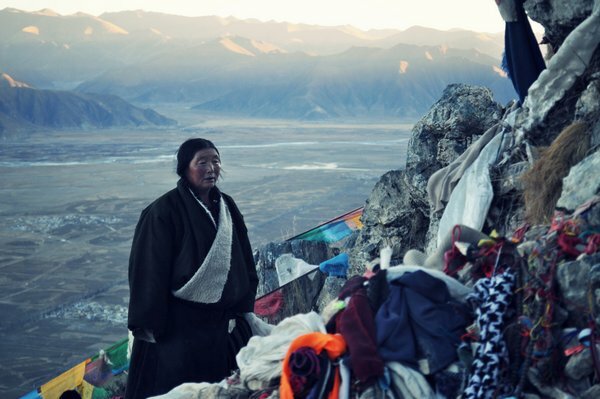 The new April-June issue of Mandala focused on pilgrimage and includes valuable advice from Lama Zopa Rinpoche on the practice of prostration, something one would do at a holy site. Circumambulation is another essential practice one does on pilgrimage. In the July-September 2009 issue of Mandala, Ven. Sarah Thresher introduced readers to the practice of circumambulation, a spiritual activity that Lama Zopa Rinpoche advises as an excellent method for accumulating merit and purifying negativities. In this article, Rinpoche gives step-by-step advice on how to best circumambulate and recommends four special mantras to recite before beginning the practice. You can read the complete article as a PDF.